We offer programs of study leading to bachelor’s, master’s, and doctoral degrees, with opportunities to specialize in numerical mathematics, mathematical statistics, applied math, and math education, among other areas. When The University of Alabama first opened its doors in 1831, math was one of just five academic departments comprising the University. Today we are a growing program that awards bachelor’s, master’s, and doctoral degrees. We have 27 full-time faculty members, nearly 50 graduate students, and some 200 undergraduate majors. Undergraduates can specialize in pure mathematics, classical applied mathematics, numerical mathematics, optimization, mathematical statistics, and mathematics education. Master’s students can specialize in pure or applied mathematics, mathematics for finance, or math education. Doctoral students can pursue research in algebra, analysis, applied mathematics, and topology. The mathematics department’s offices and classrooms are well equipped to support our teaching, research, and service activities, with equipment that is continuously updated and supported by highly trained faculty and staff. 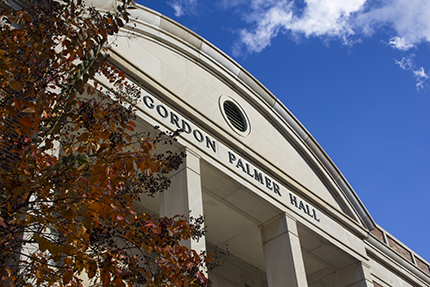 All of our facilities are located near the core of the University of Alabama campus, just a short walk or shuttle ride from residence halls, the student center, dining facilities, and parking. Our faculty members’ research projects span the major mathematics disciplines and numerous interdisciplinary fields, focusing primarily on analysis, mathematics education, and computation. Undergraduate, graduate, and postdoctoral students are provided the opportunity to get involved in research, exposing them to a wide range of challenging problems. Read more about our research programs. Throughout the fall and spring semesters, the mathematics department hosts seminars and lectures. These events bring to campus distinguished speakers from other universities and nationally prominent research facilities to discuss their recent work. In addition, our faculty and graduate students regularly give seminars about their recent work. All of these events are free and open to the public.